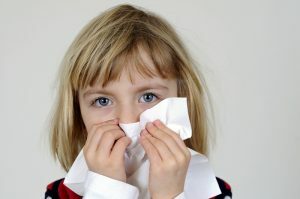 In this day and age many children are taking pills and potions for their immune system; however, I argue that we are seeing more and more evidence of weak immune systems because some very basic rules are not being followed. Over 3 decades of unbroken clinical experience leads me to write this blog in the hope we can bring common-sense back. When a baby is born it enters a world that is full of nasties that lurk around every corner. As the immune system fights off these invaders the system becomes stronger and over time the body is able to put up a pretty good fight if it is allowed to build. It is normal when these babies and young children start gathering in numbers for them to develop runny noses and immune challenges. I know it seems like your child is always sick. I have heard so many parents lament ‘my baby is always sick, what can I give him/her to stop this happening’? The usual approach to these challenges is to go to a store and locate the product that the manufacturers have spent mega bucks on the packaging to entice worried parents to purchase, promising the world and more often than not delivering a lighter wallet and little result. Taking pills and potions is not the answer. Folks it is normal for the children to be picking up coughs and colds in these environments and in fact, it is not only normal it is HEALTHY. OK, I can hear you yelling at me, ‘what do you mean it is normal for my baby to be sick so often’? Let me explain Mum and Dad. As your child is exposed to invaders that their little body has not come across before the immune system has to build a defence and this takes time. However each time the immune system is challenged the stronger it becomes IF you follow some basic tips. So many times we see children exposed to a virus and sent off to childcare. Even adults will struggle to work; do this and you spread germs around causing havoc. It is necessary to rest, hydrate and nourish the body to allow healing and support to the Immune system to build defences for the next time it happens and be assured it will. As the virus hits and the body starts to heat and build mucous; these are defence mechanisms and ones that are normal, however, if the body is not allowed to rest, hydrate and be nourished the situation becomes catastrophic and recovery time is much longer. It may be inconvenient however once the child is exposed to the keep them home, offer care and support to build the immune system and the fighting power the body requires to build a healthy immune system. It is this very system that is the core to well-being and the one system that allows very serious conditions to manifest if weak.